Back on the road in the Coys ‘mobile’ today to visit some of the media teams plus a look at a few of the local clubs and associations. Surprisingly Torrevieja only has one newspaper, one major radio station and couple of journalists that have a base in the city. Barry Newlove took over TKO Radio a few years ago and just last week added a new frequency (90.8 fm) to reach out to even more listeners. 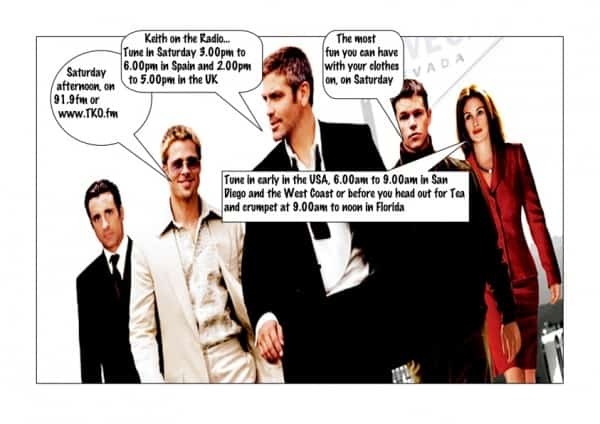 TKO started back in 2003 with a Radio One, young-things format, but since the majority of listeners and expat residents are 45 years old plus, within a year they had mixed it up with more of a Radio TWO format, which is even more prevalent today. Their format is very much for the best music of yesterday and today. During the week Peter Hurst, Chris Ashley, Dennis Christian and Neil Couzens have two hour time slots based on a music or quiz format that attract lots of listeners, requests and dedications, while former BBC presenter/producer Alex Trelinski puts a huge amount of work into his three hour, 1.00pm to 4.00pm slot, with sports, local news, entertainment, gossip and lots more, along with great music. 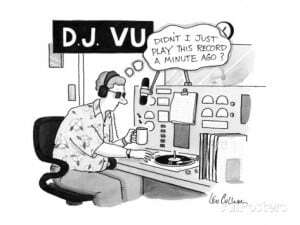 On Weekends, Trev Massey does both mornings, Peter Hurst is back Saturday afternoon, while Keith Nicol brings an eclectic mix of music, gossip, weird and odd snippets from around the world wide web, plus some great tunes. Plus of course, a look at Saturday sports. On Sunday’s Tony de Love brings his own imitable style to the airwaves, followed by Gordon Lack’s laid back afternoon style. You can find out more about the station on: www.tko.fm, from where you can also listen live, on Facebook: TKO Spain or tune it in and rip the dial off, on 91.9 fm or 90.8 fm on the Orihuela Costa. 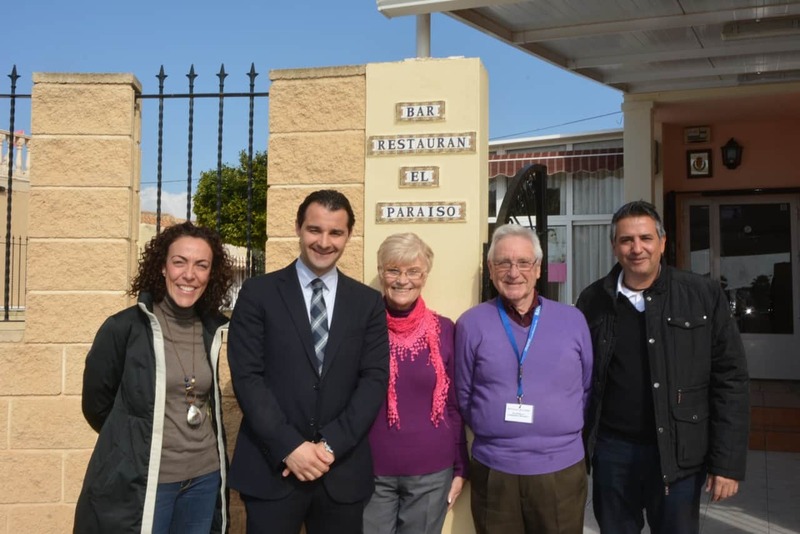 Located on the same floor is the busy office for the Courier newspaper, which is growing in popularity on a regular basis, paper is published every Friday around the Alicante South, Torrevieja and Orihuela Costa Region. The paper has a number of very popular writers and features, such as golf with Ivie Davies, football with John McGreggor, editor Alex Trelinski with his bits pus a great TV guide, that some other papers were quick to copy. However, Keith is quick to point out that all of the local Journalists get on very well together and being a small group, they can’t be everywhere at once, so they often share resources and photos from different events they attend. The main protagonists around Torrevieja are Kevin Reardon (The Leader), Barry Wright (Costa Blanca News) and Paul Mutter (Coastrider). 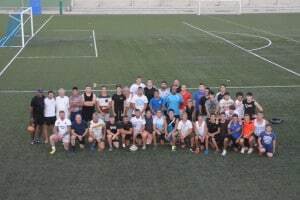 When it comes to trying to find something to keep one busy, Torrevieja is not short of clubs, associations and groups to join and get involved with. 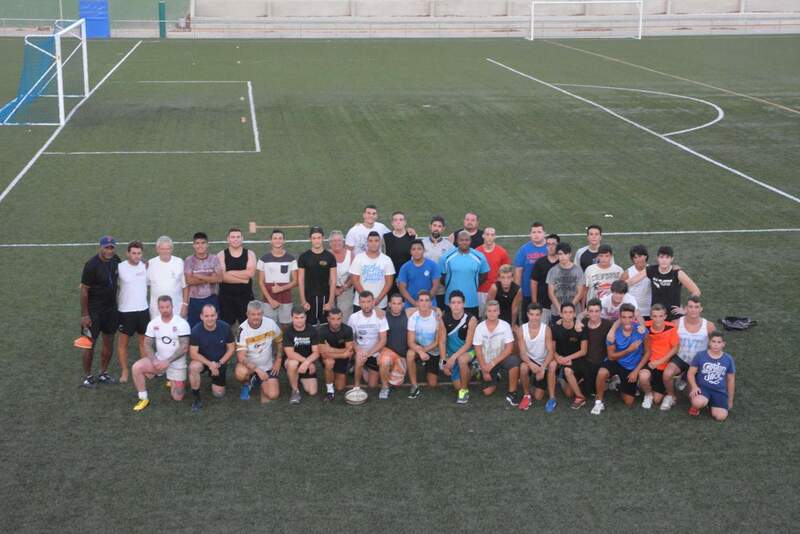 Slowly building themselves up again is the Torry Army, CD Torrevieja’s International Supporters Club. 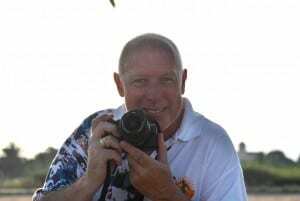 The third division football team’s VP and Club Treasurer Jeff Scott does everything he can to bring in the crowds, from producing the match day program, to writing about the games for the Coastrider and doing shouts on the radio. He’s helped out by Coys, Mike and Heidi’s son Charlie, who is Jeff’s official photographer. Coys Rent A Car are one of the teams main sponsors, and have supported the team for many years too. The Nosmo-King Club was one of the first international clubs in Torrevieja, and still meet every Thursday at 11.00am at El Paradiso, just behind Carrefour. This week Mayor Eduardo Dolon, Councillor for Foreigners, Rosario Martinez and Jean Paul Mulero. 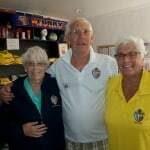 The Municipal trio will also be making an appearance at the U3A, which is Torrevieja’s largest social club. They meet on the last Monday of the month at the CMO, the glass discothèque, behind Carrefour and the Habaneras Centre and offer a huge range of activities for members. Torrevieja has huge number of clubs to choose from: golf, bowls, classic cars, petanca, darts, pool, running, swimming, football, rugby, song and dance, theatre, pantomime, fitness, squash, aerobics, cycling, motorbikes, ex-services, church groups, choirs, walking, lunch, business, breakfast, language classes, charities, NGO’s, kids groups, hobby clubs, stamp collecting, chess and even just the pure and simple social club. On the agenda is to put together a new list of all of the region’s clubs, groups and associations for This Is Spain and possibly organise another Associations Day this Spring. And I forgot to mention that plans are afoot to start an English Language Film Club in Torrevieja also and anyone interest in finding out more, should drop a note to Keith stating their interest in being added to the list. Tomorrow, it’s back in the ‘Coysmobile’ and chatting to Mike about the history of one of Torrevieja’s oldest family owned businesses and having a look at some of Torrevieja’s up and coming events that you may wish to add to your diary.